‘Serena is intimidating,‘ the 31-year-old wrote in her book ‘Unstoppable: My Life So Far.’ In a recent interview, Sharapova openly spoke about what Serena Williams means for her in her career. ‘Over the years, many things were said about our relationship and rivalry. We should be celebrated for what we achieved. We have very different backgrounds, but both of us found a way to get to the top. I have much respect for what she did and her ability to keep fighting to have successes,’ the five-time Grand Slam winner recognized. 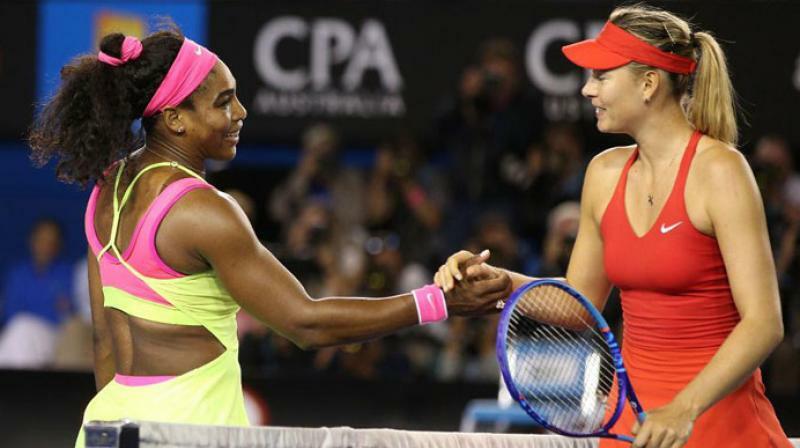 Serena Williams leads Maria Sharapova 19-2 in their head-to-head, with the Russian prevailing only at 2004 Wimbledon and WTA Championships. The two don’t have a friendly relationship either. ‘This is very special. I think we have a professional relationship. It would have been strange if in the book I didn’t speak about one of my greatest rivals. There are many autobiographies of tennis players and sometimes the greatest rivals are not mentioned in their book. I think it’s very strange.’ Asked if they could be friends after their respective careers ended, Sharapova replied: ‘I don’t think so. I was lucky to make a lot of friends at a young age in my career who are very important for me.